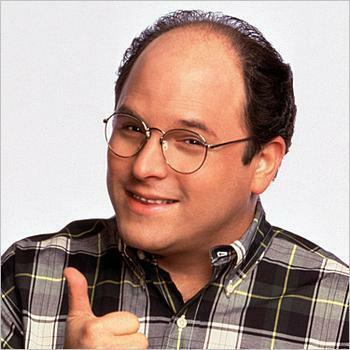 If you’re a fan of the show "Seinfeld," then you already know that the George Costanza character is an even bigger goof-up than Elaine, Kramer and Jerry, but in between his displays of insecurity and self-centeredness, he can spew out some words of wisdom sometimes. Like in the episode where Jerry stops taking his car to his usual mechanic, Puddy, over an argument the two had. But George speaks the truth. How can a person who knows nothing about cars or car repairs know if they’re being duped by an unscrupulous mechanic? To find out we spoke to a group of automotive experts who are either staffers or members of The Automotive Service Association (ASA), an organization that represents thousands of independent mechanics around the U.S. and establishes a code of ethics for all of its members to follow. According to Pete Rudloff, an ASA member who serves on the organization’s Mechanical Division Operations Committee, one sign of a dishonest mechanic is their unwillingness to explain things to you in laymen’s terms. In addition, Rudloff says you’ll have to get down and dirty with your research if you want to find a good an honest mechanic, because just giving repair shops a quick glance to determine how good they are won’t be enough. “This can be difficult to do up front, it is easier to do from the trenches though” said Rudloff in an interview with ConsumerAffairs about the challenges of searching for a good mechanic. And in terms of fair prices for parts and services, Rudloff says the Internet is a great place to compare prices, and fellow ASA member Diane Larson agrees. April Hernandez of Hernandez Collision Center in Georgia says that when researching mechanics online, make sure you’re comparing the proper parts. And when it comes to determining if a mechanic is well-skilled and reputable, state and national affiliations are more important than actual credentials, says ASA member Tom Piippo. “I think that the more credentials the shop displays, the harder they are trying to portray their worthiness of your business,” he says. Ron Pyle, ASA’s President and Chief Staff Executive compares searching for a good mechanic to searching for a good doctor. “I know it is something most folks don’t consider and I understand why, but I liken it to seeking out a good GP (general practitioner) for my minor health care issues before I need one for a more serious problem. If the GP I choose doesn’t seem to be a fit, I have to seek out someone else and make sure they are,” he says. Bill Moss of EuroService Automotive, who was also part of the discussion, agrees. 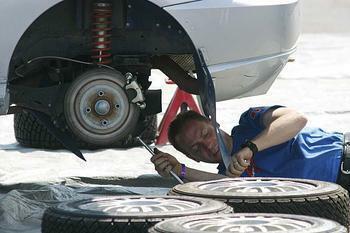 Rudloff says another sign of a not-so-good-mechanic is their inability to fix your vehicle correctly the first time. “I would recommend that if you are regularly finding that you must take your car back for a “refix,” you have not found the right mechanic,” he says. And when moving to a new town, searching for a good mechanic is something you’ll certainly have to do at some point, so Rudloff says to speak with the repair professionals in your new area, and ask if they’re using tools that are specifically designed for your vehicle. “One of the things I recommend to customers who are moving out of town is to talk with a potential mechanic once you move to a new place and see how they are equipped from a tooling stand point for your car,” he says. “If they are equipped with a manufacturer-specific scan tool, this indicates a pretty strong commitment from them to have complete capability on your specific vehicle. The fewer manufacturers a shop works on, the more expert you would expect them to be on those brands they do work on. This often is a good indicator of competence and improves the likelihood of a successful repair visit for the customer,” Rudloff explains. In addition, he says certifications are a great thing for mechanics to have, but consumers shouldn’t consider them written guarantees of competency. And “once you find a good [mechanic] stick around, even though you may be able to get a few services cheaper at the local quickie lube. "Your investment into a good local shop will pay off down the road because they will be there when you need them most," Rudloff said. Lastly, ASA’s Executive Vice President Dan Risley said consumers should ask themselves the following questions to determine if an automotive repair professional has done a good job. How were you treated and/or greeted when you called or stopped at the repair shop? 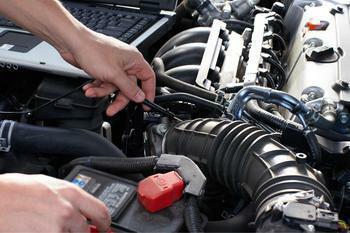 Did the repair shop review the repairs completed on your vehicle and ensure you understood? Did they provide you a written warranty? Was your vehicle clean inside and out? Did the repair shop call after you picked up your vehicle to ensure your complete satisfaction and ask if you had any questions or concerns.